x, 158 p. : port., 5 fold. maps. ; 23 cm. number of place-name definitions but was in rough shape. but was usually an avocation. Gunter,Director of the Florida Geological Survey, after Mr.
to put it into shape for publication. The invitation from Dr.
nal place- name s, justifie s its characterization as a gazetteer. of Geographic Names, the approved spelling has been followed. primitive people with Europeans proved disastrous for them. language had affinities with Choctaw. tory. One of their settlements was situated near St. Marks. the Apalachee joined the Seminoles in Peninsular Florida. Some may have been represented among the Yamassee. and became incorporated in this tribe. very similar to Chickasaw or Choctaw (Swanton, 1922: 137). i s known of them, and they wer e perhaps s neve r ve ry nume rous. along their coasts were often tortured and killed. would hold them responsible if he was allowed to proceed. of Florida and forced them to pay tribute to their chief. names stem mainly from the Creek and Hitchiti languages. some remnants of their predecessors on the peninsula. who were runaway slaves, mainly from the State of Georgia. temporarily from all of the coastal islands north of the St.
have been much persecuted by these newcomers. (i.e. the Chattahoochee River then so-called by the Spaniards). Walton County, Florida, and Euchee Creek in the same county. at Spring Garden in the present Volusia County. Tamathli, the Miccosukee, and the Chiaha (Swanton, 1922: 11). The Oconee are thought to have been the most numerous. Hitchiti elements, but evidently were of diverse origins. had been swayed by Tecumsah and the Prophet, fled to Florida. 5. A-ha-pop-ka, situated back of the Musquitoe. Goosa River, followers of McQueen and Francis. they are from the Upper Creeks. Miccosukee. The chief Ockmulgee is lately dead. 13. Wa-cissa-talofa, at the head of St. Mark's River. River, west of Wa-cissa-talofa. Natives of Florida. 15. Talla-hasse, on the waters of the Miccosukee pond. few of them are natives of the land. women and children settled there. miles south of Alachua (Old Oconee). 28. Mulatto Girl's Town, south of Caskawilla Lake. 31. John Hick's Town, west of Payne's Savannah. 35. South of Tampa, near Charlotte's Bay, Choctaws. been evident when it was compiled from the Indian informants. Talofa or Fowl Town, after this was broken up by the U.S.
Tallahassee. But who were its occupants ? Mico- an- opa by Nea-moth- la. out the root words of such names. maps is uncertain, since they are frequently corrupted. upon the language in which the transcription was attempted. some of which would be widely divergent from the others. not be duplicated accurately in the language of the treatise. offer a general reader, use of these has been avoided. variably recorded as "L", "THL", "HL", and rarely as "CL". for the "V", and "CH" instead of the "C", and "WE" for "OI"
aboriginal names which they have superseded. historical associations of the name. the entrance to Apalachee Bay. cuan town situated forty leagues (about l20 miles) west of St.
Augustine was known as Abino (Swanton, 1-922: 323). far above its mouth, in Franklin County. fort was constructed at this place by ColonelNicolls inl1814. The obsolete name for a small stream in Taylor County. Spr ague (1 848: 434) follows the spelling Sho- Elota- Funka. Achena = cedar, and Hatchee = creek. the channel leading to its mouth lies close to this landmark. miles west of the Suwannee. " The derivation of Spring Warrior has not been determined. Brevard, Indian River, and St. Lucie Counties. herein) in Seminole, or itchi, itche in Hitchiti and Miccosukee. applied to a limestone sink near Gainesville in that county. Other variants are A-latch-uh-wuh and A-lotch-uh-way. Seminole who was chief of the Alachua settlements in 1812.
in southern Suwannee County (Pena, 1949: 15) remarks. cannot be doubted by anyone who is familiar with this area. that in normal stages the river bed below this point is dry. occurring in the same general area (Swanton, 1922: 406). Talofa is a Creek word for town. rians were formerly abundant in that stream. St. Lucie River and Lake Okeechobee. which flows into Choctawhatchee Bay. the Seminole-Creek Helukwa = sweet gum. County into the southeast part of Pasco County. coasts of Wakulla and Jefferson Counties. appears to be related to the situation as the Spaniards found it. The first two names are now untranslatable. which the lower course of the river passes. bank of the Chattahoochee River, in Rus sell County, Alabama. makes the latter more plausible. and of a town in Orange County. from Creek Aha = potato, and Creek Papka = eating place. Chumpe is the sweet potato. East Coast Railway in Osceola County. It is a Seminole variant of the Creek Apakse = tomorrow. Minnie Moore Willson's book "The Seminoles of Florida"
teristics which the site exhibits. County and southern Bradford County. into the headwaters of the St. Johns River. An adjacent swamp bore the same name. County. This is a recent application. means to 'heap up in a careless manner'. " ties of Okaloosa, Dade, and Hendry. " named Athahachi, which undoubtedly means Chestnut River. Hitchiti Hata = white, and Hatcha = creek. Department of Agriculture Soil Conservation Service. cola River in Liberty County, north of Rock Bluff. earlier Apalachee probably signified the same thing. extending into adjacent parts of Hendry and Monroe Counties. from Creek Achenaho = cypress, and Taphe = broad or big. The name is from Creek Achena = cedar, and Ota = island. Atapha = dogwood, and Algi = grove. many variations, such as Assilly, Oscillee, Scilly, Asile, etc. of the Timnucuan Indians, and that of the Apalachian Indians. Creek Holahta= chief, and Fiksiko = heartless or merciless. Florida East Coast Railway in Orange County. is found in the Willson (1920: 261) vocabulary. St. Marks River in Jefferson County. spring, and Hacha = creek, meaning "spring creek. " English settlers, in honor of William, Prince of Nassau. California, at least in local application, is perhaps a variant. just north of the mouth of the Suwannee River in Dixie County. was so-called by General Andrew Jackson's army in 1818.
it leaves the terminal portion of the word unaccounted for. effluent could not be overcome by paddling. was the greatest King of the Christians. " is more likely correct (Fontaneda, 1944: 12). place of his wife. New Smyrna is in Volusia County. The significance of the name is now unknown. and Hatchee = stream or creek. (Fontaneda, 1944: 40 &- S] ). lated a Creek migration legend to General Oglethorp in 1735.
name may have been the origin of the present Chacala. lished in 1851 translates the name as Pumpkin Field River. ence of the Chattahoochee and Flint Rivers. furthermore, is of recent application. Sprague (1848: 200) gives this name as Chic-asa-Hatchee. quinces, medlars, chestnuts, and acorns. " Choctaw dialect, Chikki = old, and Asha = to sit or reside. Brooksville in Hernando County and to an adjacent prairie. Elliot's Key. It is probably the present Little River. became a reliable guide for the area adjacent to Key Biscayne. state against their will (Sheppy and Darsay, 1941: 61). tributary of Peace River, arising in Hardee County. but coined a word of their own. of the town of Interlachen. was a Seminole chief called Chipco or the "Long Warrior. " charge into the Apalachicola River. to have been almost identical to Choctaw or Chickasaw. appears to be that now known as Ten Mile Creek. in Monroe County that now appears as the Rodger's River. Chitto = snake, and Hatchee = creek or river. The name givento an island off the coast of Collier County. in West Florida. The bay was formerly called Santa Rosa. the stream is referred to as Chicasses. setter's omission, his text at this point is defective. the present name is due to the corruption of Chatot to Choctaw. Mar sh in Lee County. ridge (Cho- a- la- p-ul-ka). " The name is from Creek Chule = pine, and Ulga = grove. The name of a village in Seminole County. usage is still prevalent among hunters and woodsmen. The name appears to be of recent application. the existence of an early place of worship. in 1844 was renamed Bronson after an early settler. guide book, the name came to embrace dancing as well. horse, and Hatchee = creek. on the Florida East Coast Railway, both in the same county. tion of Creek Colowa = colored, and Hatchee = creek. root, which constituted their most important farinaceous food. in Jeff er son County. tation, it may be derivect from the Creek Chufa = rabbit. Lake Worth to Jupiter Inlet in Palm Beach County. into the Gulf of Mexico through the coast of Pinellas County. likely a corruption of the Creek Chastale = water melon. Anclote is the Spanish word for a grapnel or kedge anchor. from Creek Achatto = stone, and Hatchee = creek or river. and it is translated as Natural B ridge on the Bruff map of 1846. On the Bruff map the name is translated as Mound River. Laiki = site or mound, and Hatchee = creek. The name given to a small community in Marion County. which initiated the hostilities of this war. Emathla or 'Imala is a Creek busk title signifying leader. Creek Wewa = water, and Polokse = round. The name of a river and county in West Florida. Jovenazo, at that time member of the war committee e in Madrid. A name applied to a lake and creek in Putnam County. Hitchiti. This seems to have been a Seminole term for scrub. ans whose towns were situated among them. " of their last historical settlement. designation of this stream, as this name is now obsolete. The meaning of this name is given as "Fallen Tree Creek. " fallen tr ee trunks or snag s. "
River, is now known as Bruce Creek. being a tributary of the Yellow River. Chatte = red, and Laiki = site, meaning "Red Clay Place. " about 10 or 15 miles north of Charlotte Harbor. which discharges into Estero Bay. Halwa Hatchee to what appears to be the present Estero River. Halwe or tall earth is also a Creek designation for a mound. nificance of this name are unknown. charges into Garfield Bight on the southern coast. Halpata = alligator, and Hatchee = creek. The name is of identical derivation. This large marsh lies west of the north fork of the St.
Lucie River in St. Lucie County. This is an obsolete name for the St. Lucie River in St.
alligator, and Oki = water. The obsolete name of a creek in Hillsborough County. Hatchee, is creek or small river. is named the Cape Sable River. black, meaning "Black Creek. " maps it is given the name of Cypress Lake. the Quiche Indians, one of the Mayan tribes of Guatemala. Thus it is an introduction. The name of a town in Dade County. extended version of the Miccosukee word Hiatlee = prairie. by 1832, ousted Hicks. Hicks died late in 1832.
applied to the inlet and to the Indians who lived in its vicinity. vation and meaning are unknown. The obsolete name of a lake in Alachua County. Hogmaster, like the Cowkeeper, was a Seminole chief. relatively recent creation by the Indians. island, and a point in Citrus County. Read (1934: 49) translates this word as "Round Mound"
from the Seminole-Creek Hapo = mound, and Poloksi = round. This name has an extended application in Middle Florida. Range 4 East) in Jefferson County. 'mild, peaceable', from Creek `Yamasi. " rather than Apalachian, and means "Black Lake. " line of the Florida East Coast Railway in Osceola County. vocabulary, and means "orange" (see Yalaha). The name of a village in Collier County. 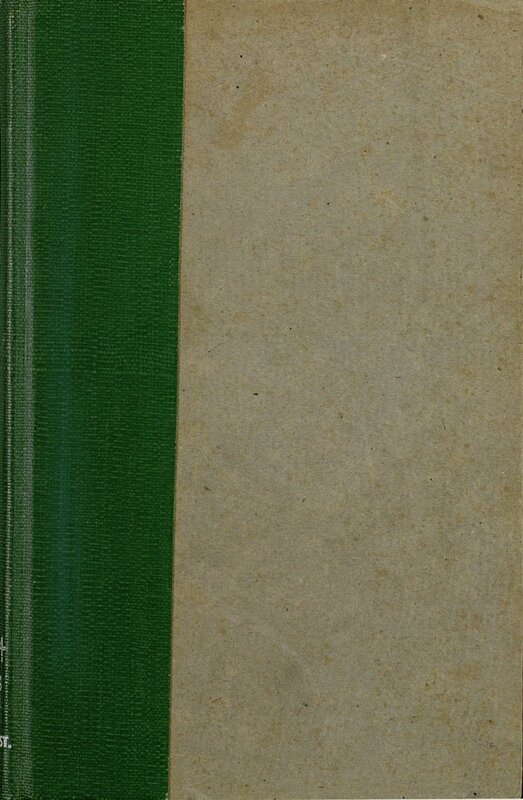 (A Guide to the Southernmost State, W.P.A., 1939: 481). to mean "his home" or "his people. " The name of a settlement in Hernando County. Chatta = red, or "red man" or Indian. The name of a lake in Highlands County. nifying "a dead man. " be an adaptation from this source. in the name under consideration. Railroad near Citronelle in Citrus County. is probably a corruption of Creek Italwa = a town or tribe. its name from a Seminole town at its mouth. beaver are still common in the bed of the stream. was probably a beaver pond which no longer exists. believe the name Kanapaha to be a relic from that period. thatched with palmetto leaves, or of bark. cipal affluent of Lake Okeechobee. Kolokee is the Seminole word for lamp (Willson, 1920: 260). The name of a lake in eastern Polk County. derived from the Greek Katcha = tiger or panther. dock near the Sarasota-Charlotte County line. driven, or "Deer Driving Place." The name of a town in Pasco County. This word is a contraction of Withlacoochee. sequent to this campaign he was sent on a trip to Washington. An obsolete name for a lake in Polk County. alludes to turtles sunning themselves on logs. The name of a creek and lake in Alachua County. from Choctaw or from some related language. Tampa Bay at the City of Tampa, Hillsborough County. the Florida East Coast Railway in Osceola County. County. The marsh extends into Martin County. liar, but the earlier spellings all point to a diffe rent derivation. turtle, and Hatchee = river. The name of an island of the Florida Keys. acumbe, and the present name may represent a corruption. the river. Mayaimi is said to mean "Big Water. " the first point of settlement in the Arredondo Grant. nized his primacy after the death of Hicks. combination which signifies head or high chief. Micco is the Greek word for chief. and the English word town. The name of a large lake in northern Jefferson County. sider the latter etymology more likely to be correct. water and Home = bitter. the area, who spoke a dialect resembling Choctaw. signifies "to paddle" (Swanton, 1946: 218). in Escambia County on the east bank of the Perdido River. The name of a town in Osceola County. Ficona Talofa in the neighborhood of the present Narcoossee. reminiscent of the older name. Florida East Coast Railway in Osceola County. distributed throughout the American tropics and subtropics. This word itself is said to be of Carribean origin. Rivers, or they may have both borne the name. Creek Nokose = bear, and Hute = house or den. established in 1846 near the site of Fort King. be translated with any degree of certainty. Jackson County which is' also known as Cypress Lake. Gulf of Mexico at the head of Ochlockonee Bay. lachee lands. The name Claraquachine is Apalachee or Chatot. lachee and no doubt also signifies yellow. Ochopee signifies field or farm in Miccosukee- Seminole. from the familiar Hatcha = creek. This is a Seminole word meaning "plenty or much. " from Mr. John J. Davis, Jr.). Creek Hamken = one, or freely translated, "Single Lake." translated the name as "one pond" (Brevard, 1924: 1-113). (Me ssag e, Feb. 26, 1 829; House Doc. 147, 20Oth Cong., 2nd Se s.). It would appear to have been situated in Sections 20 and 21. The ob solete Indian name for Lake Jackson in Leon County. a plantation on its shores. The name Ocalquibe is Apalachee and cannot be translated. Holwake = bad, and Chee = little, or "Little Bad Water." The name of a county in West Florida. Lusa = black. However it may be from the Chatot dialect. River in the same county. South, Range 23 East, in Putnam County. from Choctaw Oka = water, and Wilaha = slimy. are considered as if they related to the same stream. The name of a lake in Polk County. that name, but is of recent application. Creek word We or Wewa is usually applied to flowing water. The name of a lake, town, and county in south Florida. so called because it was so large. apparently resolves itself into an expression of its size. The name of a town in Palm Beach County. that Lanta is possibly a contraction of Atlantic. but extending into northeastern Florida. tribe from which the early Seminole was largely derived. posed of Hitchiti Oki = water, and Creek Holwake = bad. River in southern Gadsden County. This name is a corruption of Creek Ak-lowahe = muddy.